It was my birthday at the weekend and I treated myself to Jem Weston’s new book ‘Cute Little Knits’. 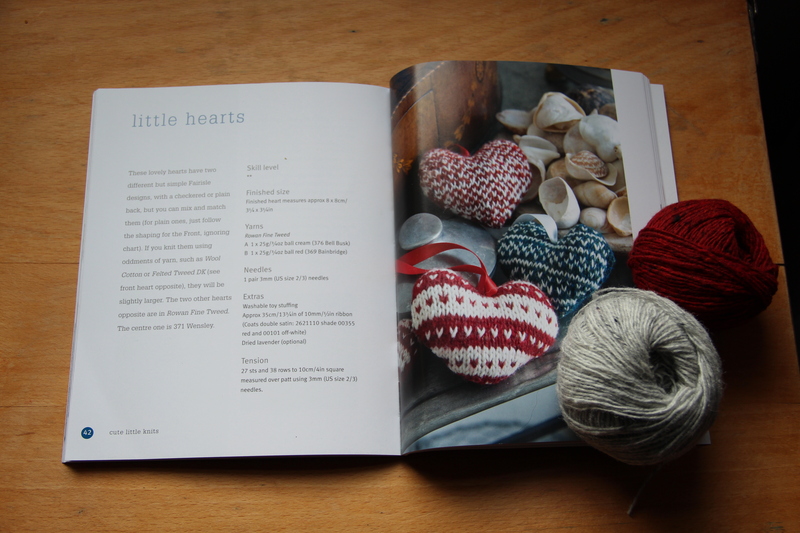 I fell in love with the little Fairisle hearts and thought they would be great to take along to my local crafty group this week, as its a Valentine’s theme. My local yarn store didn’t have the cream (Bell Busk 376) Rowan Fine Tweed in stock so I substituted a lovely grey called Buckden (364). It worked out really well. 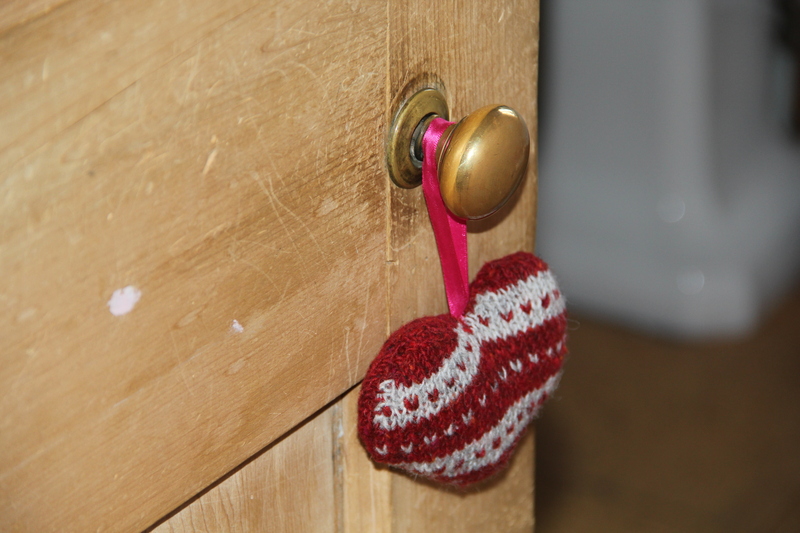 My cute little Fairisle heart is currently hanging on a pink ribbon on the bathroom door – I’m not sure I could part with it for valentines! Everyone else in the house is rather keen on owning it too so I thought perhaps it would become a ‘house heart’ and we could share! Then again, I might whip up a few more. I could see myself getting carried away like I did crocheting snowflakes at christmas. These cute little hearts would look lovely hung up in a group in a window on a matching ribbon. Project Ravelled here. 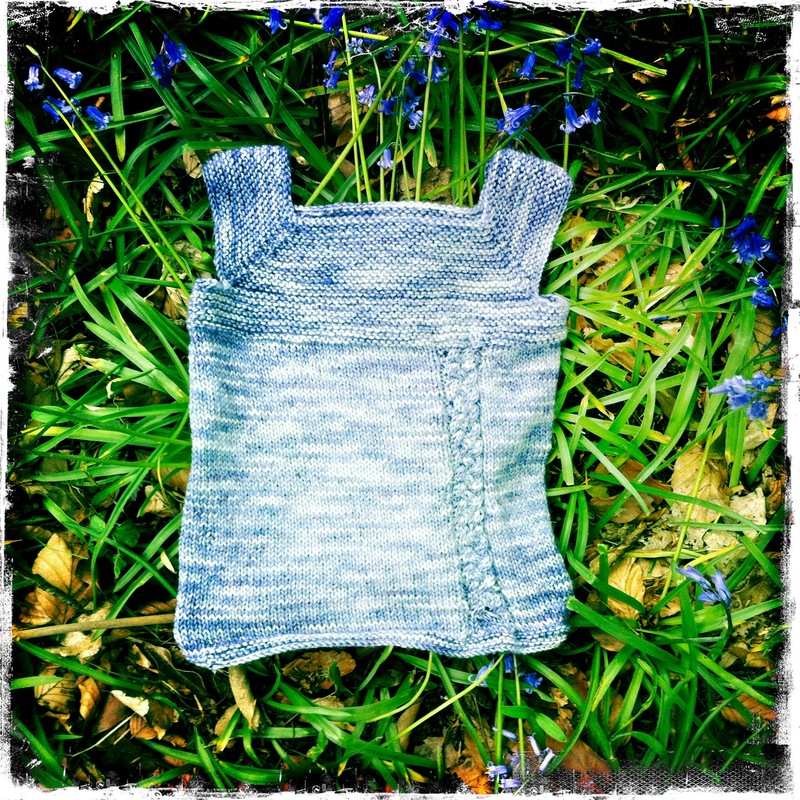 This entry was posted in Knitting, Rowan on January 28, 2013 by Mint Essential Wellbeing. Here’s a photo of my toddler Milo vest referred to in one of my earlier posts. Its made from Blue Face Leicester DK hand dyed in the Pennines. Fantastic. The colour of this wool is ‘Bluebell’ hence my urge to rush off and take a snap of the vest on my iphone in our nearby bluebell woods as soon as it was finished! Project Ravelled here. 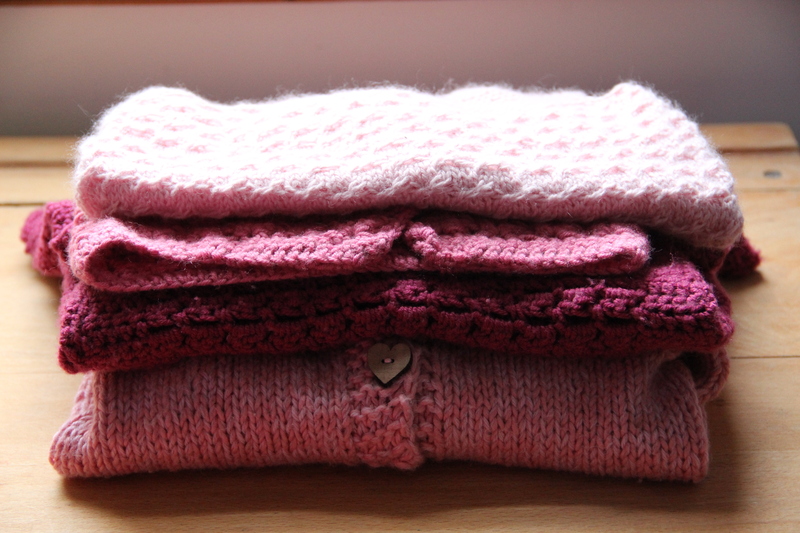 This entry was posted in Knitting on January 23, 2013 by Mint Essential Wellbeing. Projects Ravelled here, here and here. This entry was posted in Crochet, Knitting on January 23, 2013 by Mint Essential Wellbeing.